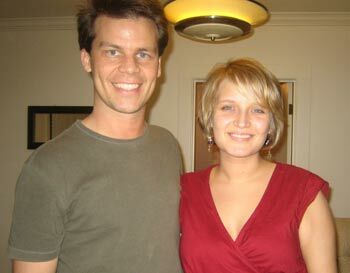 After eight tanning sessions, our friend Tom mentioned that Stacy and I looked pretty darn tan. No one at work had yet noticed. 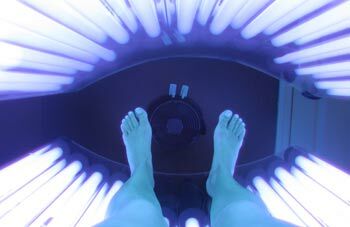 We had one more tanning session in the regular tanning beds (16 & 16 minutes) and Stacy decided to give the "express" tanning beds a try. 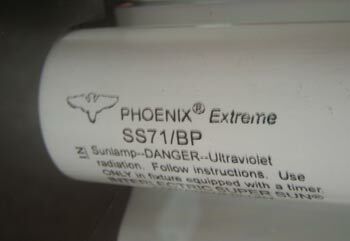 The express beds had Phoenix Extreme SS71 bi-pin lightbulbs. They were so powerful that Mohammed Al-Baradei himself had to come by to inspect these bulbs at least once a year. They worked faster. I think they produced 7 or 8% UVB radiation. 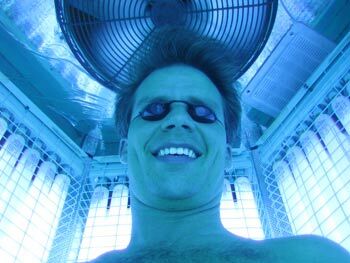 Stacy tanned for 8 minutes on the express, and I did 16 in a regular bed. 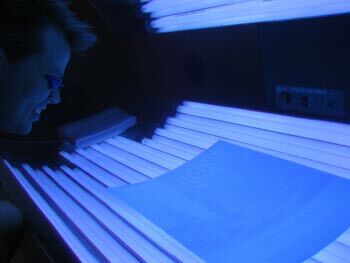 Due to privacy issues, tanning beds cannot be used as flatbed scanners. I finally tried the express bed. It was faster, but there was only one express bed, so it wasn't always available. Because Stacy and I were taking turns tanning, while the other one watched our baby June, our tanning sessions could take 45 minutes or more in total. The express beds made the trip considerably quicker. 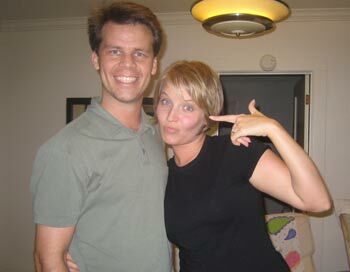 I did 8 express minutes and Stacy did 9. On the twelfth visit, I got 16 minutes, and Stacy took 8 express minutes. We were beginning to struggle to find time to go tanning. Amy was the next person to notice our tans. 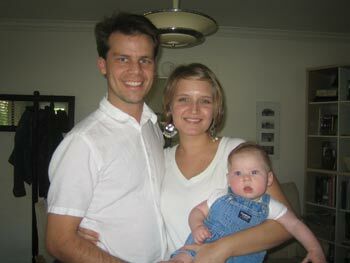 The next visit was a week later, for 18 and 9 express minutes. And a week after than, we both got turns in the express bed for 9 and 10 minutes. A few visits later, I tried the stand-up booth. The stand-up tanning booth was incredible. It was similar to a hexagonal phone booth, with four-dozen ultraviolet bulbs pouring light into every crease. 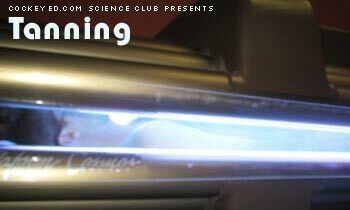 Surprisingly, the stand-up tanning booth topped the beds for intriguing physical experience. A large fan above my head was meant to relieve the heat, but its loud whirr made the all-over exposure more overwhelming. It was like being in a fast-food warming rack.